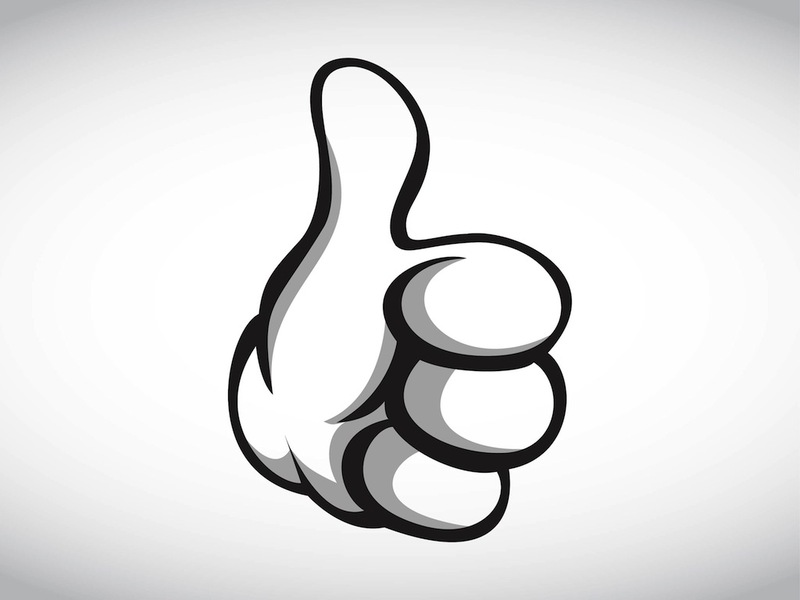 Classic cartoon style vector illustration of a popular hand gesture expressing approval and agreement. Hand in glove making a thumbs up gesture, comic book style shadows and four fingers on the hand. Free vector illustration to use in your icons, website buttons, company logos and clothing prints projects. Tags: Cartoon, Comic Book, Gesture, Hand, Like, Positive, Symbol.